Volunteering Mobilink employees and students of The Citizens Foundation put on gloves before embarking on cleanliness drive, a nationwide initiative, organized by Mobilink to mark Earth Day. Mobilink launched a nationwide drive as part of the “Earth-Day” celebrations to reinforce the importance of keeping the Earth clean. Earth Day is celebrated globally on 22nd April to inspire awareness and appreciation for the earth’s environment. The Mobilink Foundation Torchbearers carried out an elaborate environment-cleaning activity of prominent places in some of the major cities in Pakistan. Director Corporate Social Responsibility Omar Manzur, stated, “Inspirational activities that are environment-friendly are considered to be an investment towards ‘Saving the Earth’. We are grateful to the young participants and teachers from The Citizens Foundation chapters in Karachi, Lahore, Islamabad, Faisalabad and Hyderabad, who joined our volunteers to clean-up numerous prominent locations across the country”. Mobilink’s Earth-Day initiative aims to help in creating mass awareness about the importance of ecological sustainability. Hundreds of TCF students joined the Mobilink Torchbearers, to clean up the areas around Rawal Lake in Islamabad, Minar-e-Pakistan in Lahore, D-ground in Faisalabad, Mazar-e-Quaid in Karachi and Rani Park in Hyderabad. 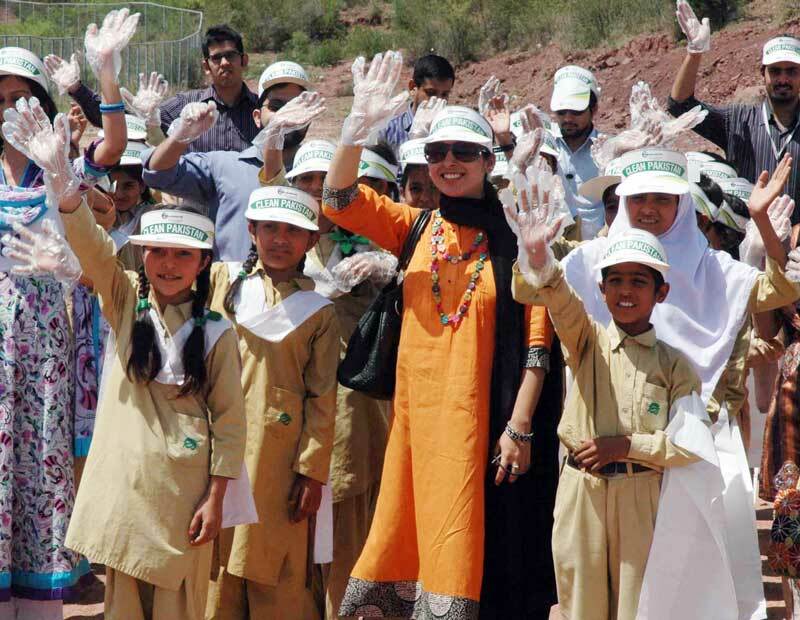 As Pakistan’s largest private sector organization, Mobilink has a history of environment friendly CSR efforts. Amongst key initiatives are the manufacture and free distribution of school bags from outdated billboard skins to more than 30,000 students of CARE Foundation, refurbishing obsolete cell phones for distribution among physically challenged citizens.